[vc_row][vc_column][vc_column_text] The best designer watches are all about luxury and sophistication. Because of quality, attention to detail, and precision with which the best designer watches are made, they last a lifetime and usually are passed to the next generation. In the world of watches, complexity and price go hand in hand. So the more you are willing to pay for a watch, the more choices you’ll have. And believe us, there is an overwhelming number of choices when it comes to some of the best watches, from around the world. When you are ready to treat yourself, (a designer watches is the ultimate treat) there are a few considerations. First, decide on your budget. 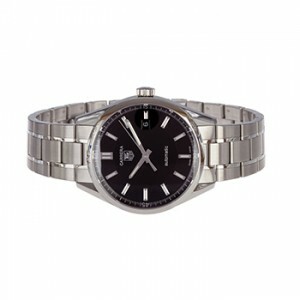 Then think about if you will wear the watch for special occasions, work, or, perhaps, sports activities. Think of your style; do you prefer a high-tech gadget or a traditional elegant watch? Quartz or mechanical? Digital or analog or, maybe, a combination of the two? One thing for certain; when you buy one of the best designer watches, you are buying the highest quality materials, craftsmanship, precision, and, with it, prestige. If budget is a strong consideration, but you still want one of the best designer watches, consider a quartz watch. As a matter of fact, the majority of watches being manufactured today are quartz. Quartz technology allows for extremely accurate measure of time, as the quartz crystal within a watch is powered by the watch’s battery. Quartz watches have a pretty simple mechanism compared to a mechanical watch. A mechanical watch movement is a piece of art in itself. Most of the world’s best designer watches are mechanical watches. Mechanical watches are also known as windup watches. These watches keep accurate time by using a spring mechanism and are battery free. In these watches, the energy is stored in a spring. That spring can be either wound up automatically or by hand. From the spring, the energy is transferred to a series of gears, pins, wheels, pivots, and teeth. The mechanisms are complicated and it takes a long time to produce these watches, thus making them much more expensive compared to quartz watches. Roman Jewelers is your source for the best designer watches, including many prestigious Swiss brands.